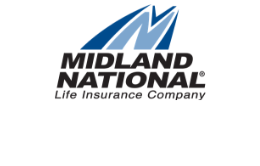 Sammons Financial Group, parent company of Midland National, was named number 22 on Glassdoor’s 100 Best Places to Work for 2019. Based entirely on employee feedback, this award demonstrates Sammons Financial Group’s commitment to establishing a positive culture and workplace for all their employees. Sammons Financial Group is honored to receive this award and sends a thank you to all their employees who shared their perspectives on what it is like to work at Sammons. The award is based on the quantity and the quality of workplace reviews, as well as consistency of those reviews over time. With a 4.4 rating out of 5, Sammons Financial Group is within the top 25 of the best places to work in the nation. To learn more about their award, visit Glassdoor’s list and check out what employees had to say about Sammons Financial Group. If you’d like to learn about a career with Sammons Financial Group, please see our Careers page.